Every Civil War battlefield deserves a champion as passionate and learned as Frank Cooling is about the Defenses of Washington, the imposing ring of fortifications that surrounded the Union capital between 1861-1865. Unfortunately, the remnants of those long ago defenses that still dot the urban landscape are mostly unknown and unappreciated by even the most ardent Civil War enthusiasts. Cooling has been studying Mr. Lincoln's forts for decades. This, his sixth volume on the subject, makes an eloquent case for reviving interest in them during the sesquicentennial commemoration of the war. 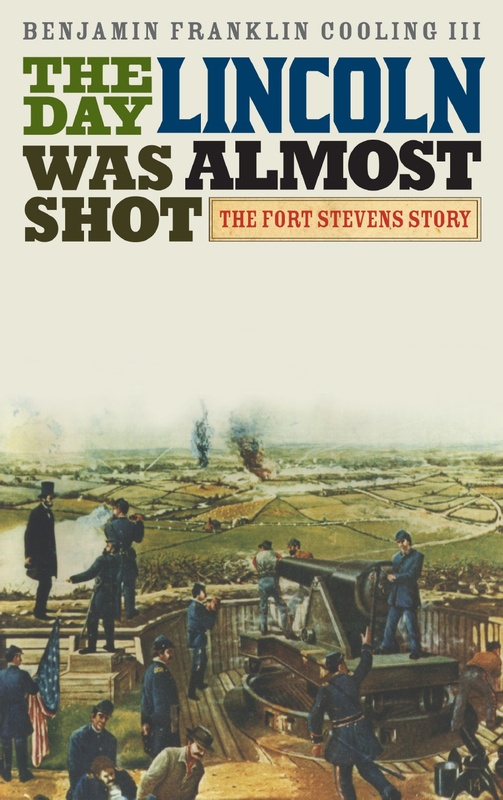 While not engaging in counter factual history, Cooling argues that the course of the war might have been very different had Lincoln been shot while standing on the fort's ramparts, only seven miles from the White House. Although not a major campaign by Civil War standards, the invasion staged by Confederate General Jubal Early and about 12,000 rag-tag troopers sowed anxiety and confusion in the North during the summer of 1864. Since it was a presidential election year, the capture of Washington DC, even if only for a few days, might have changed the course of the war and prompted the election of a peace candidate in the fall. 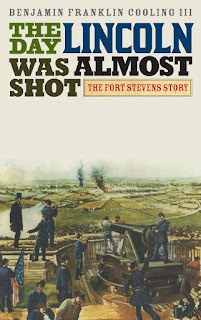 Cooling puts the July 11-12 engagement at Fort Stevens, the only action fought within the District of Columbia, into the larger context of the South's attempt to relieve relentless Union pressure against Richmond, Petersburg, and the once-vaunted Army of Northern Virginia. Both Robert E. Lee and Jefferson Davis knew chances for success were slim, but the audacity of the attempt makes the campaign worthy of study by a wider audience. Nobody tells the story better than Cooling. For the most part, he wisely uses the participants own words to move the narrative forward. The book, therefore, is filled with interesting and arcane anecdotes about people and places; many long lost in the fog of war or in dusty archives. There's Lee's pipe dream of using Early's raid to free 20,000 Confederate prisoners supposedly held at Maryland's Point Lookout prison; B&O President John W. Garrett's determination to save his railroad from destruction; the delaying action fought on the banks of the Monocacy River by disgraced Union General Lew Wallace that might have saved Washington; Lincoln's almost child-like determination to see a real fire fight; and the curious coalition of 100-day volunteers, convalescing soldiers, and government workers hastily rounded up to defend Fort Stevens until the timely arrival of Sixth Corps veterans. Their story makes for a colorful, off the beaten path, Civil War tale.